Samsung was the one of the first companies to release an Android tablet, back when the iPad was brand new and exciting. The Korean giant has tried selling a huge variety of models over the years, hitting multiple target audiences, sizes and price points. 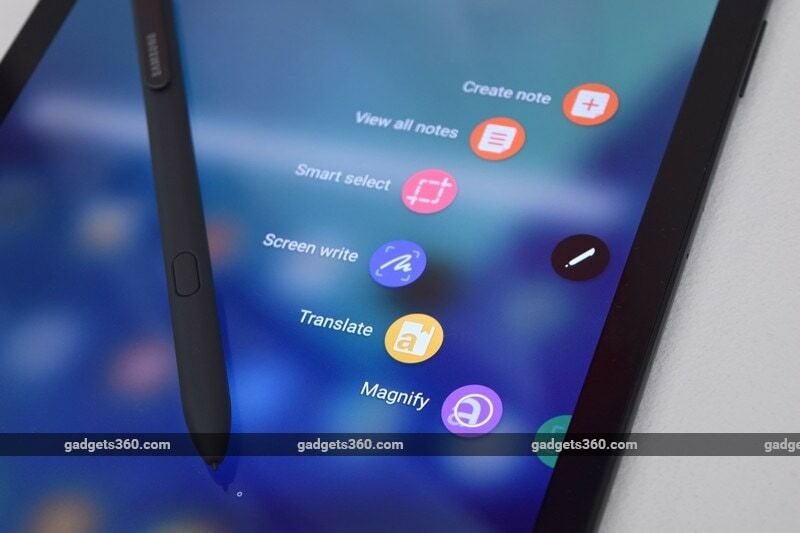 While excitement about the tablet category as a whole has died down, Samsung continues to push its high-end Galaxy Tab S which competes directly with Apple’s iPad and iPad Pro. The new Samsung Galaxy Tab S3 is slim and fashionable, with high-end specs and a bundled stylus. It can also be paired with a keyboard case if what you want is productivity on the go. However, it costs as much as many mainstream laptops, so there are a lot of pros and cons to weigh when deciding whether this is the right device for you. While not quite on the same level as Galaxy S smartphones usually are, the Galaxy Tab S3 is certainly premium. Its most distinct design features are the all-glass back, and overall thinness of just 6mm. The back isn’t slippery at all, and this tablet is easy to hold in one hand, which you’ll do a lot if you use the S-Pen. Unfortunately, the body is too thin to accommodate a silo for the stylus, so you’ll have to carry it around separately and make sure you don’t misplace it. As good as this tablet looks, it cannot hope to match the slickness of the Galaxy S8 and S8+smartphones (Review). Samsung had to make the borders around the screen thick enough for thumbs to rest without triggering unwanted touch input on the screen. You’ll also find Samsung’s trademark physical Home button with an integrated fingerprint sensor, flanked by capacitive Android navigation buttons. The silver Samsung logo above the screen is also a little distracting. The front and rear glass panels are held together by a metal frame. You’ll find two speakers on the top and two on the bottom, which means that you get stereo sound no matter which way you hold this tablet, though it isn’t directed towards you. 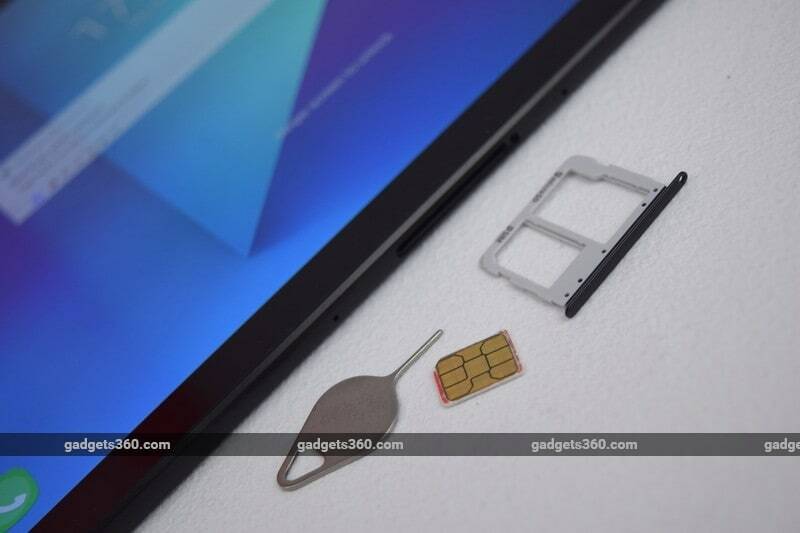 The power and volume buttons are on the right, along with a tray that can hold one Nano-SIM and one microSD card. On the bottom, you’ll find a USB Type-C port and a 3.5mm audio socket, both awkwardly off-centre in an attempt to make the bottom look symmetrical. The back is almost completely bare, expect for the primary camera and its flash at the top, another Samsung logo, and a “Tuned by AKG” stamp along with some lighter regulatory text near the bottom. We think a more minimalist approach would have helped make the Galaxy Tab S3 feel like more of a premium product. Construction quality appears to be excellent, and we weren’t worried that we’d have to handle this tablet gently. You can slip it into any bag and you’ll hardly notice the additional weight. We’d definitely recommend finding a sleeve or cover of some sort, because fingerprints and smudges are a huge problem on both the front and rear. The Galaxy Tab S3 feels most natural when held in portrait mode, which works well for pretty much everything except videos and games. In the box you get the tablet itself, the S-Pen, a bulky quick charger, a USB Type-C cable, five extra stylus nibs, and a small nib removal tool. The device is available in grey or black, but there’s only one variant in India in terms of storage capacity and connectivity. The Galaxy Tab S3 is a premium tablet. It uses a Qualcomm Snapdragon 820 SoC which now feels dated. There’s 4GB of RAM and 32GB of storage, indicating that Samsung really did have last year’s flagship specs in mind when creating this tablet. You don’t have to pay extra for cellular connectivity, and if you insert a 4G SIM, you can even make voice calls using the built-in speakers or a headset. The Super AMOLED screen has an impressively high resolution of 1536×2048 pixels, but the main attraction is that it can display HDR video in all its glory. The only officially supported source right now is Amazon Prime video, but other services should come on board soon. With the right app, you should also be able to play HDR files that you load onto the device yourself. You also get a beefy 6000mAh battery, 13-megapixel rear camera with flash, 5-megapixel front camera, Wi-Fi ac, and Bluetooth. The USB Type-C port supports USB 3.1 speed (Gen 1 or Gen 2 isn’t specified, but file transfers are fast enough for most purposes), and you can use microSD cards of up to 256GB to add more storage space. The S-Pen is passive and does not need to be charged. It has a 0.7mm tip and the screen can register 4,098 levels of pressure. The one thing that’s been common across all tablets that aren’t iPads or Windows machines is of course Android, for the simple reason that no hardware manufacturer currently develops its own operating system, and no one wants to take on the burden of developing an entire app ecosystem. The Galaxy Tab S3 gets Android 7.0 with Samsung’s custom UI on top which will be familiar to anyone who’s used a Galaxy phone or tablet before. The S-Pen’s functionality is deeply integrated into the Samsung skin, so this is one instance in which a third-party replacement is not an option. The software is fairly pleasant to use, with no major shortcomings. You can easily enable or disable the Flipboard-powered Briefing news screen to the left of the first homepage, and we’re happy to note that it takes full advantage of the big screen. You can use the S-Pen to navigate around, just like a fingertip. When you bring the stylus tip close to the screen, you’ll see a cursor appear. Pressing its button brings up a rotary menu on one side of the screen. By default, it has shortcuts to pen-specific features, though you can add any app you like. 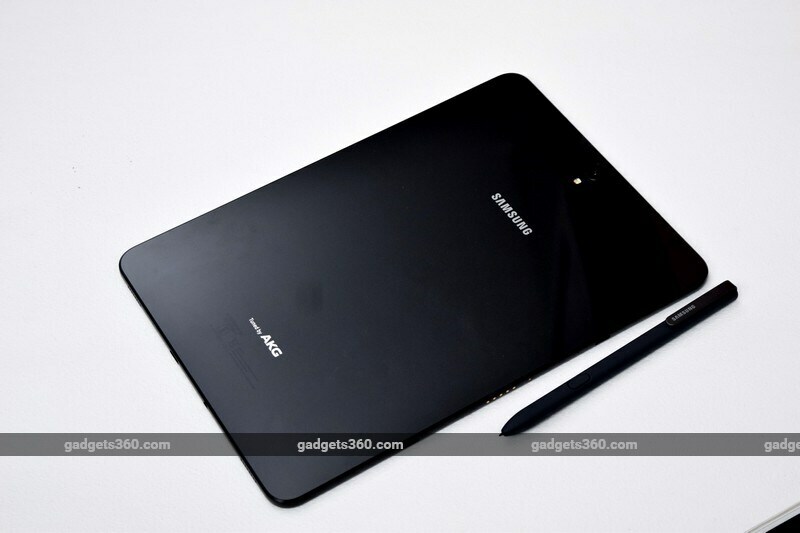 The tools include Samsung Notes, Smart Select, Screen Write, Translate, Magnify, and Glance. Samsung Notes is a full-featured app that lets you type, scribble and draw onto pages plus embed photos and voice recordings. When the tablet’s screen is off, you can hover with the S-Pen and press its button to trigger a “screen-off memo” mode which lets you quickly scribble with only one tip style and colour, and then save your work to Samsung Notes. The app is a little awkward to use because of how tools are arranged and how it balances typing and stylus input. Thankfully, Samsung’s deal with Microsoft to preload its Office apps continues, and we found that OneNote was far superior in terms of usage as well as organisation. The rest of the tools are simpler – Smart Select lets you isolate parts of the screen and capture stills or even animated GIFs, Screen Write lets you annotate screenshots, Translate provides Google translations for words as you hover over them, Magnify is a simple zoomed-in frame that follows the pen tip around the screen, and Glance lets you pin a thumbnail of any one app to a corner of the screen, letting you jump to it no matter what else you’re doing. Pen.Up is a community of artists, and you can submit your own creations as well as comment on and share posts by others. Samsung also preinstalls Soundcamp, a Garage Band-style music creation app which has a grid that you can trace patterns across to compose note sequences, but it works just as well with a fingertip. We found a few apps in the Google Play store that work with the S-Pen including Autodesk Sketchbook and Adobe Illustrator Draw, but it would have been nice to have had a guide somewhere. The Galaxy Tab S3 allows for side-by-side multitasking, and you can slide a bar between the two apps to choose how much of the screen each one occupies. Apps that support this show a multitasking icon in the app switcher. When you tap the icon, that app is effectively pinned to one side of the screen and you can choose another one for the other side. You can then switch between apps in the secondary space while the pinned app remains on screen until you exit split-screen view with the Home button. At the minimum supported width, apps behave like they would on a smartphone, and while some scale smoothly if you change widths, others shut down and restart. The rest of the Galaxy Tab S3’s software is fairly standard. You get a few custom apps including a file manager for productivity. Secure Folder lets you keep private data safe and run second instances of some apps. Kid’s Mode is a cartoony environment which lets you sent time limits and prevent accidental data loss. Flow lets you hook up a compatible Samsung phone to see notifications across both and easily share files and pick up where you left off in supported apps. We tried out the HDR screen with Amazon Prime’s original series The Man in the High Castle and The Grand Tour, and found that it did look great, with colours that really popped and extremely crisp reproduction overall. However, bandwidth was a big constraint. You’ll need more than 15Mbps to stream at the highest quality and videos will consume nearly 2GB per hour when downloaded, so this isn’t necessarily a practical feature for Indian conditions just yet. There were slight shifts in colour tone when we checked out viewing angles on the screen, but everything else from brightness to the text clarity was fine. The S-Pen turned out to be quite fun and useful, and we found ourselves using it quite a lot even when just moving through the UI. The main problem with it is that pen-enabled apps, and even the input panel integrated into the default keyboard, all respond to touch as well as the S-Pen tip. This means that we’d often make a mark when we were just trying to rest a hand on the screen in order to start writing. You have to learn to hover your hand slightly off the screen, not treat it like a sheet of paper. The Galaxy Tab S3 did stutter occasionally during normal use, which could be because of the graphical demands of such a high-resolution screen. Our benchmark scores reflected this as well – we got 138,828 points in AnTuTu, 3,934 in GeekBench’s multi-core test, and 128 in WebXprt. 3DMark Sling Shot Extreme gave us 2,518 points but GFXBench’s high-end Car Chase test running at the native resolution only managed 13fps. Samsung usually has a lot to say about its smartphone cameras, but the ones on the Galaxy Tab S3 are nothing to get excited about. The app is quite barebones and doesn’t even have an HDR feature, which is a strange omission. Photos are just okay, lacking detail and texture when seen at full size, but otherwise passable. Video recording goes up to 4K with a 10-minute time limit, and one small spot on the rear of the tablet does get quite hot after use. Thanks to the high resolution, videos are fairly crisp and smooth. The Galaxy Tab S3’s camera is more than usable if you don’t have your phone on you, but it shouldn’t ever be your first choice. We were able to go for three or four days before needing to charge, based on a couple of hours’ worth of usage each day. We watched lots of videos and played around with the S-Pen a lot, but also used the tablet to read and browse the Web. Our HD video loop test lasted 8 hours, 13 minutes. The Galaxy Tab S3 is light and easy to carry around, and could be a fun travel companion or a way to get some work done. It’s much less expensive than a 10.5-inch iPad Pro with cellular data plus an Apple Pencil, but the iOS ecosystem is still more tablet-friendly. Plus, the usage experience is more polished overall with an iPad. 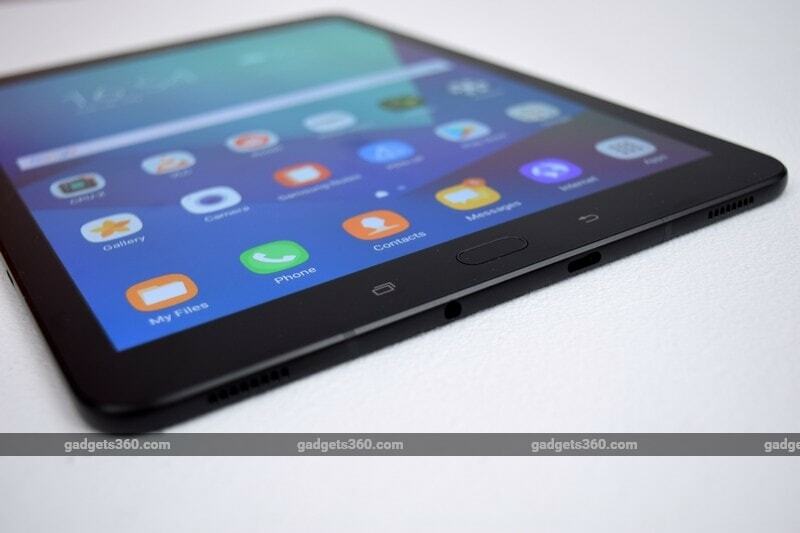 You’ll be happy with the Galaxy Tab S3 if it’s a secondary or even tertiary device, and there are a number of people who can afford that kind of indulgence. If you don’t need a stylus, the non-Pro iPad (2017) could serve well too. 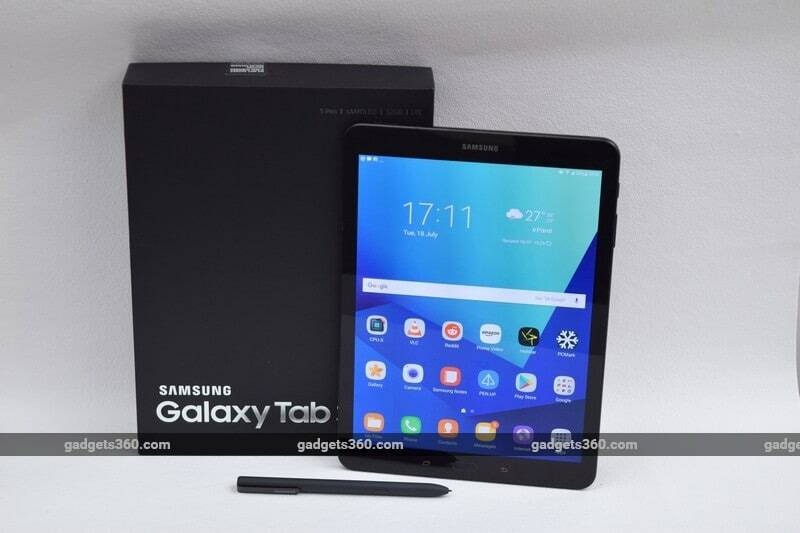 However, neither option is much good for productivity without a keyboard case, and spending even more money puts the Galaxy Tab S3 in the same territory as a lot of very capable Windows laptops. This is exactly the space that Microsoft and Qualcomm are targeting with the upcoming Snapdragon 835 platform for Windows 10, and such devices promise to eliminate Android’s biggest shortcomings while offering all its benefits. The Galaxy Tab S3 is therefore an extremely niche device, and its success rides almost completely on whether or not the S-Pen is useful to enough people.